The Rose-breasted Grosbeak is a member of the cardinal family, and reaches a length of 19 cm in adulthood. Its preferred breeding habitat includes open, deciduous woodlands in Canada and the eastern United States. Northern populations will migrate in winter months to southern Mexico and Central America, including Peru and Venezuela. This species is rarely found in Western Europe as well. These birds forage for food in shrubs and trees, and diets consist of insects, seeds and berries. Some insects are also caught in-flight. The conservation status of the Rose-breasted Grosbeak is currently Least Concern. Rose-breasted Grosbeak: Large finch, black head, back, bright red breast, and white rump, sides, belly. The wings are black with white patches above and red, white, black below. Long, slightly notched black tail with white patches. 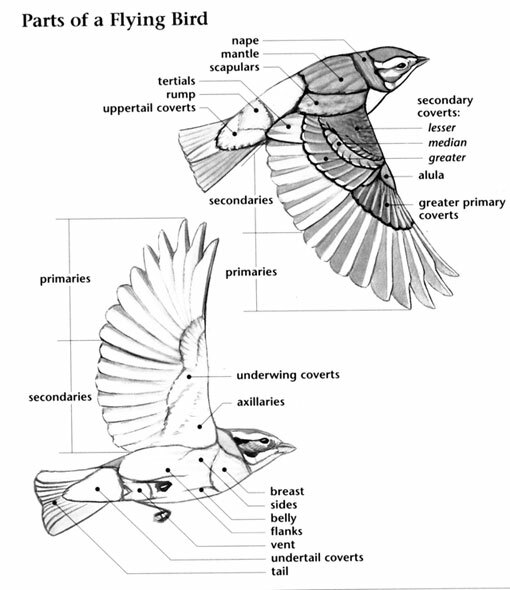 Female has brown streaked upperparts, buff streaked underparts and yellow wing linings. Eats seeds, caterpillars, insects, tree flowers, fruits and berries. Rose-breasted Grosbeak: Breeds from northeastern British Columbia, Manitoba, and Nova Scotia to southern Alberta, North Dakota, Oklahoma, and New Jersey, and as far south as northern Georgia; regular visitor on the west coast and winters from central into northern South America. Preferred habitats include moist woodlands, open fields and old, overgrown orchards. Typical call is a squeaky "chink". Song is a series of rising and falling melodious phrases. Song is a repeated "cheerily cheer-up cheerio". Song is a series of rising and falling warbled notes. The Rose-breasted Grosbeak will mate with the Black-headed Grosbeak where the population densities of both species are low. Unlike most songbird species, the female is known to sing. The cardinals and grosbeaks are one of the one hundred eighteen families of birds in the order PASSERIFORMES (pronounced pas-ser-i-FOR-meez); a large taxonomic order that includes other families of finch-like birds such as the weavers, estrilid finches, and sparrows. The bird family Cardinalidae (pronounced kar-dih-NAH-lih-dee), which includes the cardinals and grosbeaks, is composed of forty-two species of birds in eleven genera restricted to the New World. 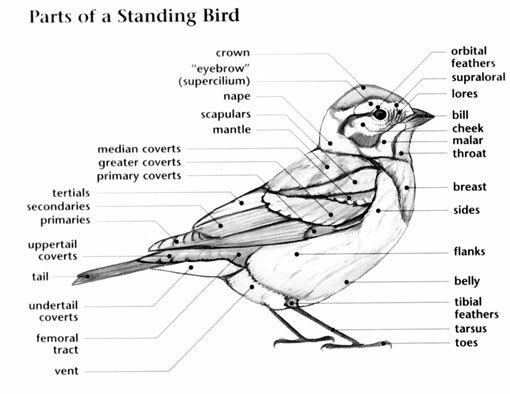 In North America, there are twenty-five species of Cardinalidae in eight genera. 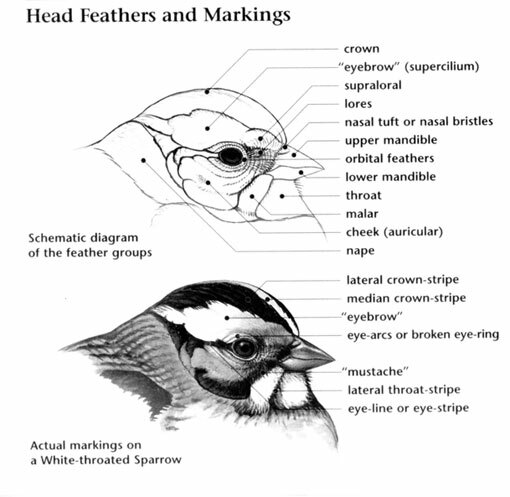 Cardinals, grosbeaks, and the colorful buntings are all members of this bird family. Members of the Cardinalidae such as the Painted Bunting are known for their colorful plumages. The males of this brilliant species are decked out in such brilliant colors that they appear to have been painted – hence their name. Of course, the male Northern Cardinal with its proud crested head and cheery red plumage has become an iconic image among bird enthusiasts throughout North America. Members of this bird family are small to medium sized birds with rather long tails, short wings, fairly long, strong legs and feet suited for perching. Some species have crested heads and all have short, stout bills adapted to cracking open seeds. A family known for their bright colors, male plumages are generally brighter than those of females and are a sampling of the colors of the rainbow from vivid violets and blues to bright, orange, yellow, and reds. Black, white, and greenish coloration also occur in this family. Females lack bright coloration and tend to have brown, streaked plumages. In North America, members of this family range from British Columbia, Canada south into the Neotropical region where most species occur. The northernmost species are the Black-headed and the Rose-breasted Grosbeaks, one occurring in the coniferous forests of the west and the other mostly inhabiting the deciduous forests of the east. Other members of this family are birds of edge habitats and second growth. A few members of this family are long distance migrants to Central and South America while others are permanent residents. Most cardinals, piranga tanagers and allies are solitary birds although some species flock together during migration and winter, the Dickcissel in particular forming large flocks. Foraging for invertebrates and seeds takes place in trees, bushes and on the ground. The Painted Bunting has shown a sharp decline in some areas of its range. This brilliant species is threatened by habitat loss, parasitism by the Brown-headed Cowbird, and is probably affected by the thousands of birds trapped each year in its wintering range in Mexico. The Dickcissel is often called the “ricebird” on its wintering grounds in the wet savannahs of South America as it often feeds on rice grain. It is sometimes considered a pest for this reason, especially because it occurs in flocks that number in the thousands.